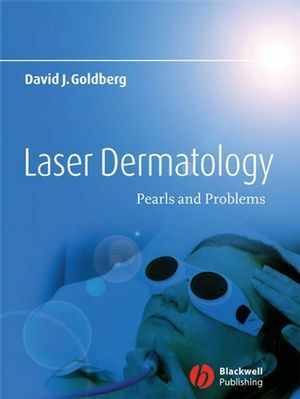 Dr. Goldberg goes beyond the standard “before and after” approach to use actual images to demonstrate the pearls and pitfalls discussed in the text. David J. Goldberg, MD, JD is a Board-Certified Dermatologist who has been in practice since 1985. Dr. Goldberg is known both nationally and internationally for his work with skin lasers. He has treated patients and taught doctors in the use of this exciting technology throughout the world. Dr. Goldberg earned his medical degree from Yale University. He completed his dermatology residency and dermatologic surgical fellowship at New York University Medical Center. Dr. Goldberg has published over 85 academic papers, and contributed to 9 academic textbooks. He has also authored the first and only textbook on laser hair removal. He has also co-authored the popular paperback "Light Years Younger". The Skin Laser & Surgery Specialists of New York & New Jersey, directed by Dr. Goldberg, have been the site of exciting pioneering FDA research on laser hair removal and skin rejuvenation. Dr. Goldberg has been instrumental in bringing this technology to the public. He is a Clinical Professor, and Director of Laser Research and Mohs Surgery, in the Department of Dermatology at NYC's Mount Sinai school of Medicine. He is also a co-Vice-President of the Skin Cancer Foundation. Dr. Goldberg is also very active in professional societies. He has served as President for the American Society for Laser Medicine & Surgery, and is currently the chairman of the Ethics Committee of the American Academy of Dermatology. He is on the Board of Directors of the American Society for Dermatologic Surgery. He was the very first recipient of the prestigious Leon Goldman award. This award is named after the founding father of laser surgery. 3 Pigmented Lesions, Tattoos, and Disorders of Hypopigmentation. 4 Ablative Lasers and Devices. 5 Non-Ablative Photorejuvenation and Skin Remodeling.